As I've noted in the past, I'm rather a fan of watching randomizer speedruns. For those unfamiliar (or who simply don't want to read the previous articles I wrote on the topic), speedruns are play-throughs of a game where the runner tries to do it as fast as possible. Sometimes they have certain goal conditions, such as "clear 100% of the game". Other times they try for a "low %", meaning beat the game while clearing as little as possible. Most speedruns, though, focus on "any %" meaning "get through the game as fast as possible by any means necessary". Most runner will regularly play "any %", and when it comes to randomizers, "any %" is the most common way to play. Randomizers are, as the name would imply, randomized version of traditional games. 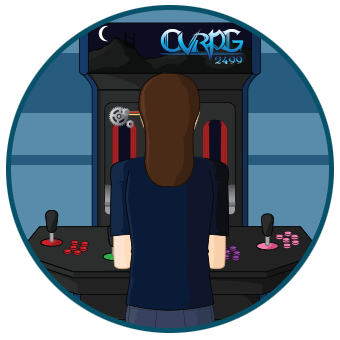 The randomizer itself is, usually, a program setup on a site that will create a patch for a game to shuffled up the contents. This is done via a ROM patch, and it's expected that any player or a randomizer will have (legal) copy of the ROM available to patch. There are whole communities developing these randomizers, and larger communities playing them, quite often in tournaments. 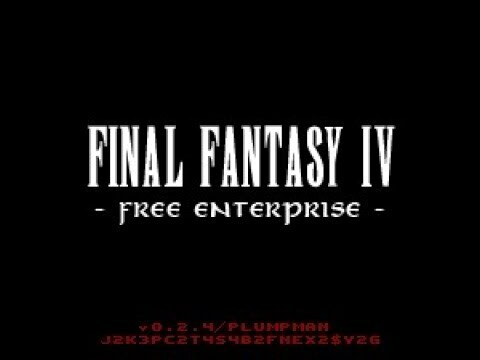 One such tournament actually just finished up this last weekend: the "Highway to the Zemus Zone" tournament for the Free Enterprise randomizer of Final Fantasy IV. As I'm sure you already know, Final Fantasy IV was released here, in the United States, as Final Fantasy II. There are a number of reasons for this, from the Japanese Final Fantasy II (for the NES) being too large a departure from the original game to release over here, while their Final Fantasy III (also for the NES) was a large, difficult game to translate into English, and it also came out late in the NES life cycle, so porting it to Western shores was cost prohibitive. 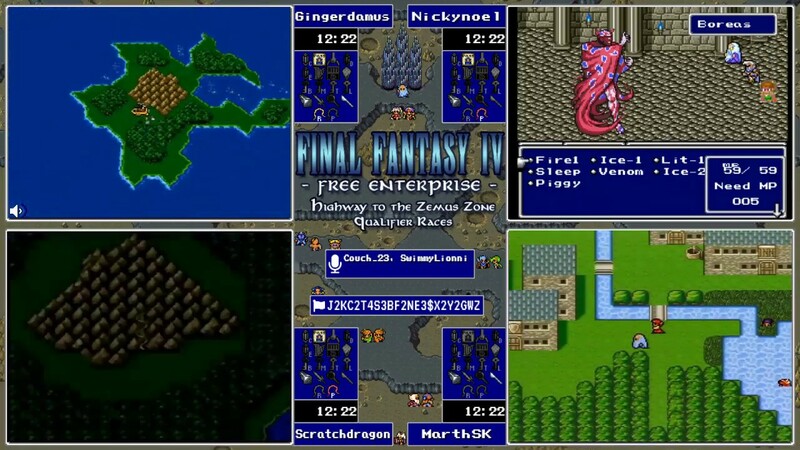 Regardless of history, both sides of the ocean received a version of Final Fantasy IV under different numbers (since, for us, this was the "second" FF game we ever got). 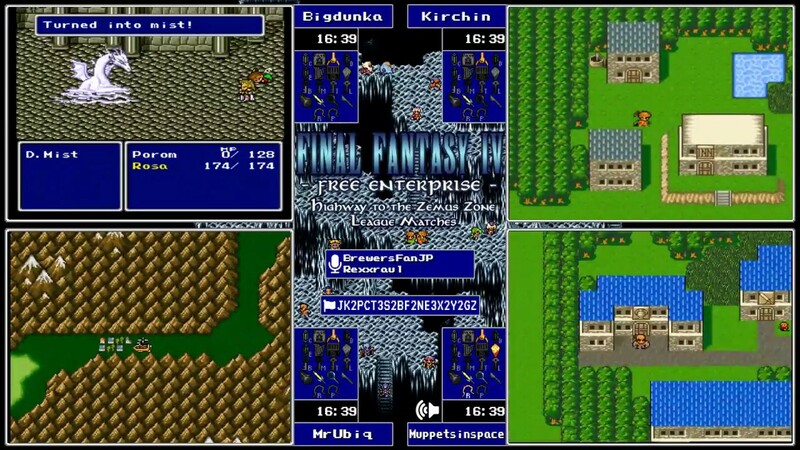 Amusingly, to play the randomizer players would need a copy of the Final Fantasy II US ROM, as this version of the game was developed by Westerners. The game does, however, restore a bunch of the Final Fantasy IV content removed for the US release. Confused yet? Well, let's all blame Squaresoft of Japan for that mess. 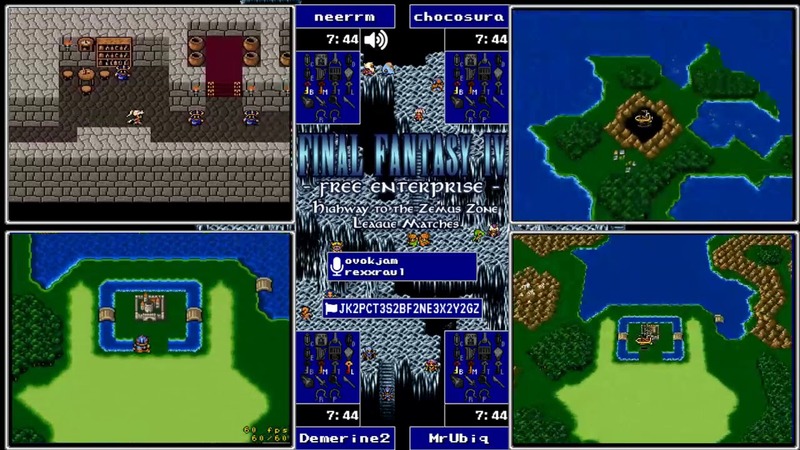 It's also worth noting that there are actually two quite popular randomizers for Final Fantasy IV. The Lunarian Shuffle adds a randomized twist to the traditional game -- you're still playing through the normal plot but have the ability to randomize characters, weapons and items, abilities, and the like. It's still a straight play through of the main game (so even speedrunners will take about five hours, minimum, to get through it all), so fans of the classic game won't get too big a shock from this randomizer. Much more extensive, though, is Free Enterprise. Upon booting this randomizer into your game, you'll get two random characters, a random key (or valuable) item, and an airship (the Free Enterprise). From there, where you go and what you do is entirely up to you -- your only goal is to get to the end boss, Zeromus (known as Zemus for a good portion of the game). You'll have to find a couple of key items to make the boss beatable, and of course various key items are required to gain access to certain areas of the game. Essentially, though, this game strips all the story out of Final Fantasy IV and converts it into a open world RPG (or about as close as this game could ever be to that kind of game). As a benefit of this conversion, Free Enterprise often takes only an hour or so to play through (if you're speeding along). As I mentioned, there was a recent tournament for this mod of the game, the finals of which just recently ended. These matches were great, and showcased as lot of great runners working at the peak of their abilities. The tournament structure was a little different from a few of the tourneys I've watched in the past. The opening rounds were point based, pitting four players against each other to see who could finish fastest (finish in a better position, earn more points). A number of matches were held in the four-player free-for-all format to see which players (of the full, initial field) would end up on top. The top 16 players then played in a bracket system, keeping the four-for-all fashion but eliminating one player at a time from each bracket until a final field of 8 was left. The final day of the tournament was a real clincher, with three back-to-back-to-back games held in a single day, whittling the Final 8 down to a Final 6, and then again to a Final 4. The last match was the very best of the tourney, with a winner-take-all final showdown. The lead passed back and forth for a bit early on before a clear winner emerged: eLmaGus. 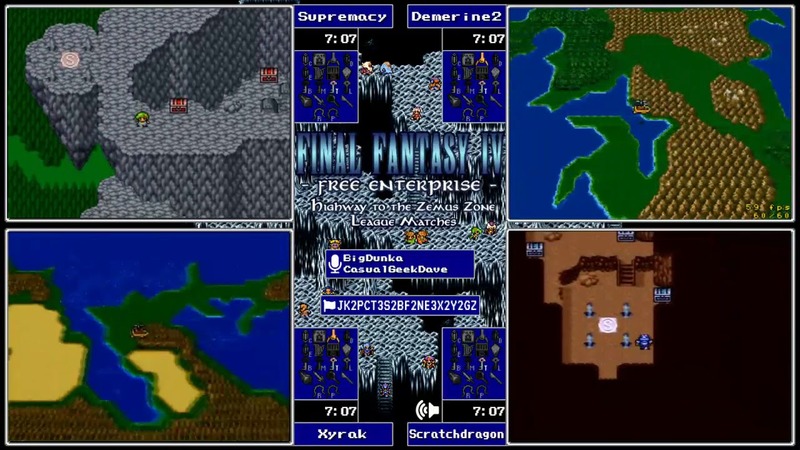 A speedrunner known for his RPG play-through, eLmaGus doesn't normally partake of randomizer tournaments -- mostly I've watched him (on YouTube recordings) do long form runs of the classic games like the Final Fantasy series and Chrono Trigger. And yet, as the commentators noted, eLmaGus picked up Free Enterprise right before the tournament just to play in the matches. He was immediately labeled as the favorite even though he hadn't played the randomizer much, just because he's so good at the standard game. But while he took the lead eventually, it was a near-thing for much of the final match. While there were four players competing, including the other tournament favorite riversmccown, along with ScatchDragon and Nightdew, the battle really was between eLmaGus and rivers for the first half. However, and early decision to exit a cave without finishing it, a cave that had a boss with a key item attached to it, cost rivers his shot and sent him off in a random direction far away from the end of the game (this sometimes happens in randomizer races). From there, only one racer ever got close to eLmaGus, second-place finisher Nightdew, and he was still 11 minutes behind the leader by the end of it. Some of this can be attributed to luck -- the more open a randomizer gets, the more likely it is that a player will miss something or end up going down a red-herring of a path. Sometimes, though, a linear path is set and, in this particular case, rivers just didn't following it quite far enough before giving up and moving on to a different thread. It was a heartbreaking decision for the player, but at the time how was he supposed to know? The randomizer gods giveth and taketh away in equal measure. Of course, eLmaGus wasn't a clear favorite for much of the tournament for his luck (or, really, not just his luck alone), but also because he's a fantastic Final Fantasy IV runner. Whenever he was able to find the right path through the randomized game, he could rely on his skill to carry him. The other players had to hope they had a big enough lead before he found the right path as otherwise he was likely to run off with the game. And he did, time and again, only losing a couple of his matches in the early running, and then winning (or placing second) in just about every one of his later matches. His skill was amazing to watch as it was clear he knew this game inside and out. If this kind of tournament (and randomizers in general) appeal to you, I recommend checking out some of the highlights (or even many of the matches) from the series. Recordings of all the "Highway to the Zemus Zone" matches, including commentary, are available on the RPG Limit Break YouTube channel. Even with me spoiling the ending of the last match (it's a sporting event so I don't think spoilers really apply) the whole tournament is worth watching again.